HÀ NỘI — To celebrate the upcoming festive season, luxury eco resort Six Senses Con Dao on the pristine island of Côn Đảo in southern province of Kiên Giang has a special offer for travellers. Any guest who books their stay before November 30 at the Ocean View Duplex Villa will receive the “biggest present of the year”. Guests can choose from offers including: daily Bed & Breakfast at Ocean View Duplex Pool Villa, round-trip air tickets to Côn Đảo from HCM City, a Christmas buffet on December 24 (excluding beverages), a 60-minute Signature Body Massage per stay and roundtrip shared van transfers from Côn Sơn Airport. 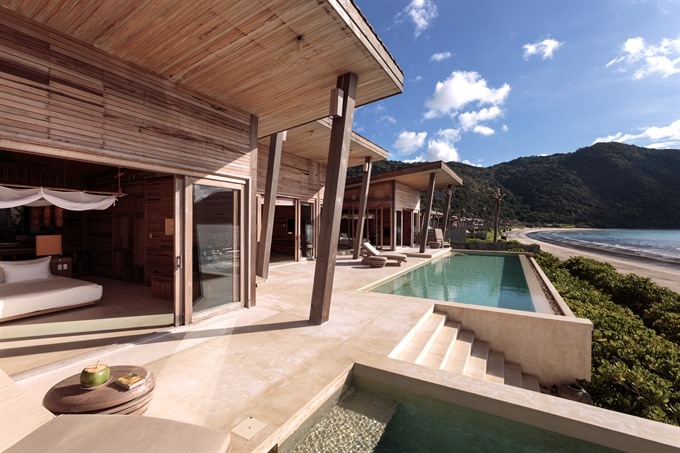 The rate for the Ocean View Duplex Villa is from VNĐ29,990,000 per night for two people. Conditions are applied. Set in a protected national marine park, Six Senses Con Dao has been recognised as a top eco lodge by National Geographic Traveler. Several dining options offer local flavours, seafood and world cuisine. Six Senses Spa features classic signature treatments and specialist therapies all complemented by the dramatic backdrop of the Lò Vôi Mountains. From water and beach sports to hiking, discovering nature and turtle watching, the island of Côn Đảo has something special for all interests and ages.